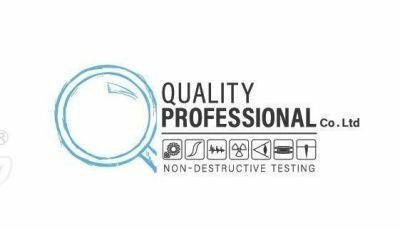 A process of inspecting, testing or evaluating materials, components or assemblies for discontinuities or differences in characteristics without destroying the serviceability of the part or system. Non-destructive testing are commonly used in manufacturing, fabrication and in-service inspections to ensure product integrity and reliability, to control manufacturing processes, lower production costs and to maintain a uniform quality level. Magnetic Particle Inspection – this method are used for testing materials that are easily magnetized. It can detect discontinuities that are open to surface and just below the surface. The test specimen will be magnetized by using permanent or an electromagnet or by passing electric current through or around the specimen. By applying ferromagnetic particles to the already magnetized test specimen, an indication will occur in the area where flux leakage is present. Liquid Penetrant Inspection – a method which can be used to non-porous material for the detection of open-to-surface discontinuities. It is widely used for testing non-magnetic materials. Penetrant will enters discontinuities by means of capillary actions. Apply liquid penetrant to the surface of the part (to be inspected) in a predetermined period of time and after which excess penetrant will be removed. The part then will be dried and a developer is applied. All the penetrant that is remained in the discontinuity will be absorbed by the developer to indicate the location, size and nature of discontinuity. Penetrant used are either visible or fluorescent dye penetrant. Visible dye penetrant are inspected under white light while the fluorescent dye penetrant uses ultra violet (or black) light under darkened conditioned. Eddy Current Testing - this method is widely used for detecting surface flaws, to sort materials, to measure thin walls from one surface only, to measure thin coatings and in some applications to measure case depth. It is only applicable to electrically conductive materials. An alternating current is passed through a coil in order to create an alternating magnetic field which is used to induce a localized current (eddy current) into the material under test. Discontinuities will disrupt the flow of eddy currents and alter the terminal impedance of the test coil. The signal received will then be interpreted to locate the discontinuities. Ultrasonic Testing – a method that uses high frequency sound waves that are emitted from a transducer into the specimen being inspected. The sound waves will be transmitted into the specimen, and reflect at interfaces. The reflected waves are transmitted back through the probe and connecting leads to a CRT monitor. The thickness of the specimen, and the depth and type of flaw can be determined using this method. Ultrasonic testing can be applied to most materials if sound transmission is good. Radiographic Testing – a method used for detecting internal flaws in many different materials and configuration. An appropriate radiographic film is placed behind the test specimen and then is exposed to either X-rays or Gamma rays. The intensity of X-rays or Gamma rays is being modified according the internal structure of the specimen being inspected. After exposure of the film, it will then be processed in a dark room and an image will be formed, known as radiograph, of the test specimen. Application of the Method and use of Codes, Specifications and Procedures applicable.